Beerlao is brewed from the best local rice and overseas high quality malt giving it a unique taste. 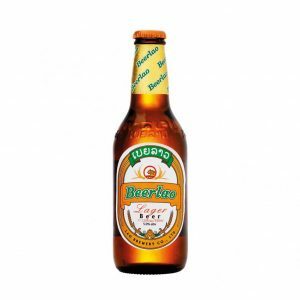 Beerlao was launched in 1973 and has become the best selling and leading brand in Laos. Beerlao Dark is an award winning beer brewed with the finest ingredients and roasted malt. A full-bodied tasted experience with a golden brown color. Leo Beer is a full-flavored standard lager beer with a smooth and pleasant finish. Always refreshing, that green bottle, the red star, the smiling ‘e’… like an instant welcome from an old friend. Cold, fresh, Heineken. Enjoyed near and far since 1873. Thailand’s first — and many would argue, best — beer is a clean-and-crisp pale lager at 5 percent ABV.